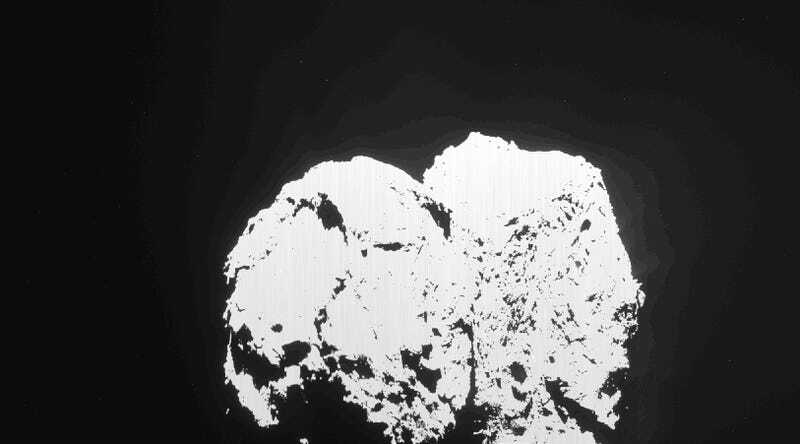 What In the World Just Happened to Comet 67P? February 19th, 2016 was going to be just another day on Comet 67P—until suddenly, the icy space rock lit up in a blaze of glory, as if suddenly slapped by an angry angel. The strange astronomical event would have gone unnoticed by the seven billion people living right down the cosmic street, except that lucky for us, we had a spacecraft in orbit around that sucker. Rosetta caught all the action, and scientists on Earth have now reconstructed a detailed sequence of events that may have been triggered by a landslide. The analysis, led by Eberhard Grün of the Max-Planck-Institute for Nuclear Physics, has been accepted for publication in Monthly Notices of the Royal Astronomical Society. “By happy coincidence, we were pointing the majority of instruments at the comet at this time, and having these simultaneous measurements provides us with the most complete set of data on an outburst ever collected,” ESA Rosetta project scientist Matt Taylor said in a statement. The action began around 9:40 GMT, when Rosetta’s detectors noted a strong brightening in the coma, the halo of airborne water vapor and dust surrounding Comet 67P. Over the next few hours, the UV brightness of sunlight reflected off the coma increased sixfold, while the amount of sunlight scattered off dust grew by a factor of ten. Meanwhile, temperatures in the gas rose some 30 degrees Celsius (54 degrees Fahrenheit). Then, Rosetta was blasted by dust, its sensors registering almost 200 individual particles in just three hours, compared with an average of three to ten particles per day. By mid afternoon, the comet had settled back down. By putting all of their data together, scientists believe they’ve identified the cause of the commotion: a steep slope on the comet’s larger lobe, in what’s known as the Atum region. The outburst started just after this region emerged from shadow, suggesting that heat from the sun’s rays may have vaporized a patch of exposed water ice and triggered a landslide. I’d like to pose an alternate hypothesis: Comet 67P is a Pokémon Go gym. Hey, it explains why the Philae lander never calls us anymore. The Philae Lander Has Woken Up!